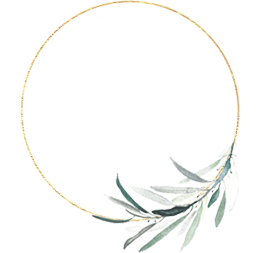 THE BABYBJORN CARRIER ‘ONE’ | Beverly's Net: family. food. fashion. 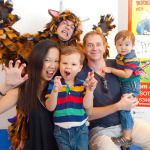 THE BABYBJORN CARRIER ‘ONE’ – Beverly's Net: family. food. fashion. 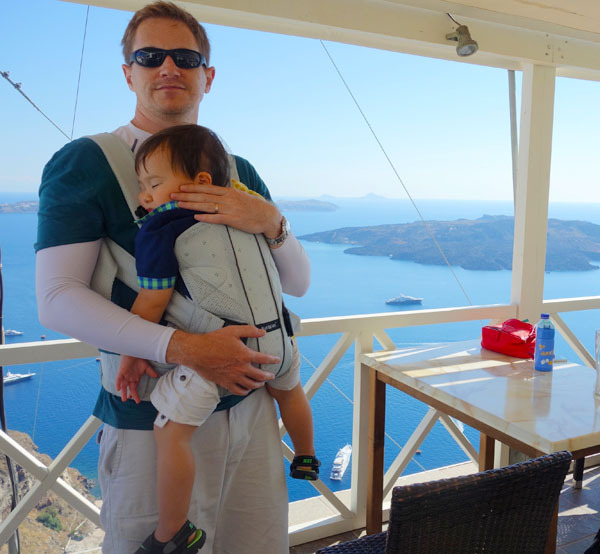 My kids really put our new BabyBjorn Carrier ‘One’ to the test during our holiday in Greece. 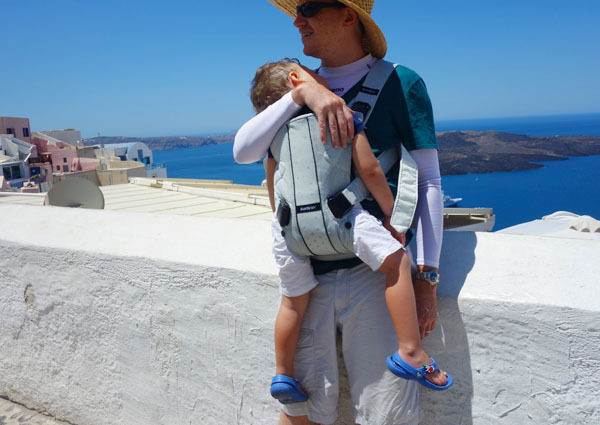 We used the carrier on the flight, to force help Carter to keep still so he would sleep, day in and day out in Athens and in Santorini, carrying both kids, front-style and back-style! CARTER: Carter was 22 months old, and is about 12KG. He’s a pretty hefty kid. In this photo, he’s being front-carried, and this was the position he was in every time he slept in the carrier. The leg holes are roomy enough for his fatty thighs (adjustable smaller for infants), and he was comfortable enough to fall asleep. Carter wouldn’t allow us to carry him backpack-style, because he felt too restricted and wanted to run amok all over the place instead. HUNTER: Hunter is 3.5 years old and 14KG. He was also front-carried when he was napping during the day. At this weight, he is heavy in any carrier. The ‘One’ helps adjust for his weight by allowing us to shift the weight (via a toggle on the back) between our shoulders or hips, so we shifted it up and down just to give our backs some relief. At his age, very few kids would allow themselves to be front-carried anyway, so you’d probably only do this during nap time. This is Hunter being carried backpack-style in the ‘One’. 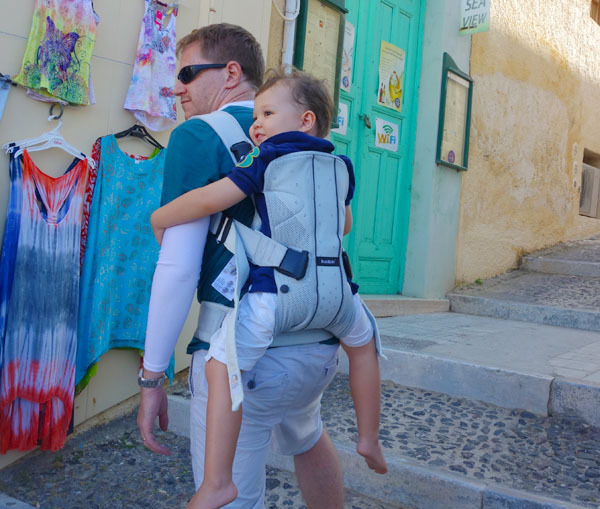 Truth be told, this is how you would expect to carry a toddler most of the time – it’s much easier on the back, and they’re actually very portable this way since the kid can’t run off!! Hunter LOVED being carried this way, and saw it as a bit of a treat, since he is rarely carried now that he’s older. It gave him a great view and he didn’t have to walk, so it was a bit of a win-win as far as he was concerned! Sturdy, easy-access buckles – I thought this was one of the most impressive features. The buckles click together with a solid and silky ‘click’ and are very well designed. Easily adjustable – it’s quick to adjust the strap lengths and leg hole size. I’ve had carriers where it’s not smooth to adjust and I end up fiddling and struggling with the straps, with a struggling baby inside. Breathable mesh – there is a variety of fabrics to choose from, but I thought this silver-mesh version is outstanding for Singapore’s weather. 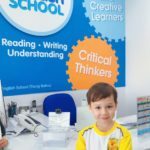 The holes in the fabric allows air to flow through, so the kids didn’t end up with sweaty backs (gross), despite the weather in Greece being astonishingly sweltering. Compact in size – Chris was all what is this sorcery?! when I rolled it up. It tucks into itself and the waist straps click shut, so it looks like a compact bolster when fully folded. It meant we could throw it into our hand-carried luggage easily, as well as pop it into the stroller basket when we were out and about. Comfortable – considering it can take the weight of our heavy kids, and the fact that they could sleep soundly in it (full 1.5 hour naps! ), it’s safe to say that they found it comfortable. Hunter in particular really enjoyed his rides, and could effectively explain this to us – so it’s a direct recommendation of his! 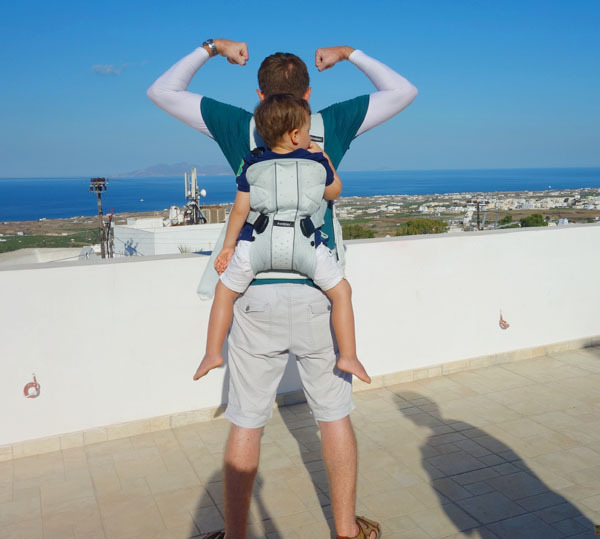 The bottom line: BabyBjorn’s Carrier ‘One’ is ideal for parents that are willing to splurge on a solid and high-quality baby carrier that will take their child from infant to toddler. We felt that the silver-mesh fabric was the best for those living in hot/humid climates! The BabyBjorn Carrier ‘One’ is available at Mothercare stores in Singapore.